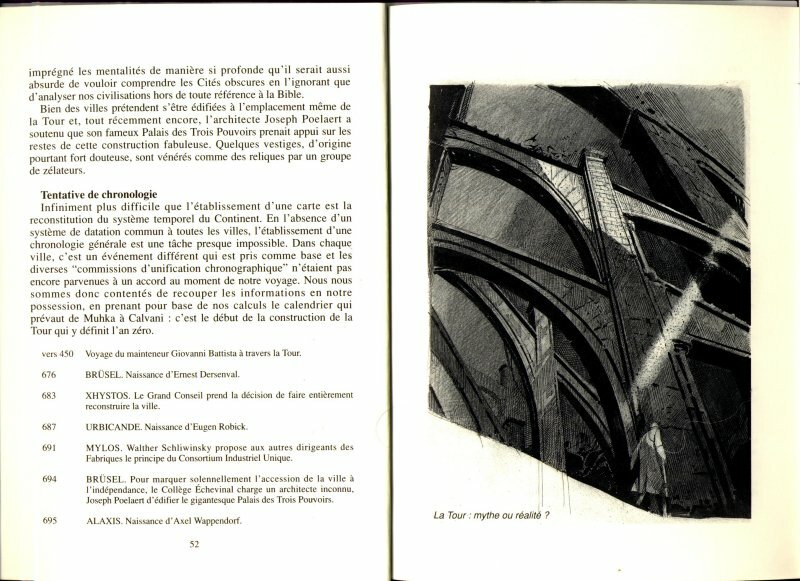 Petit Guide des Cités Obscures [Little guide to the Obscure Cities], was published in two parts in Les Saisons, a French literary magazine. 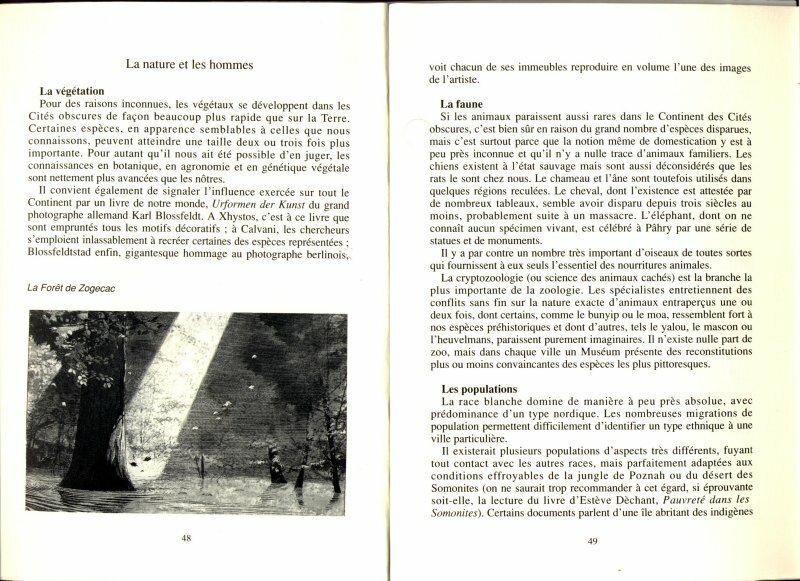 The first part was published in winter 1990 and the second one in the spring of 1991. 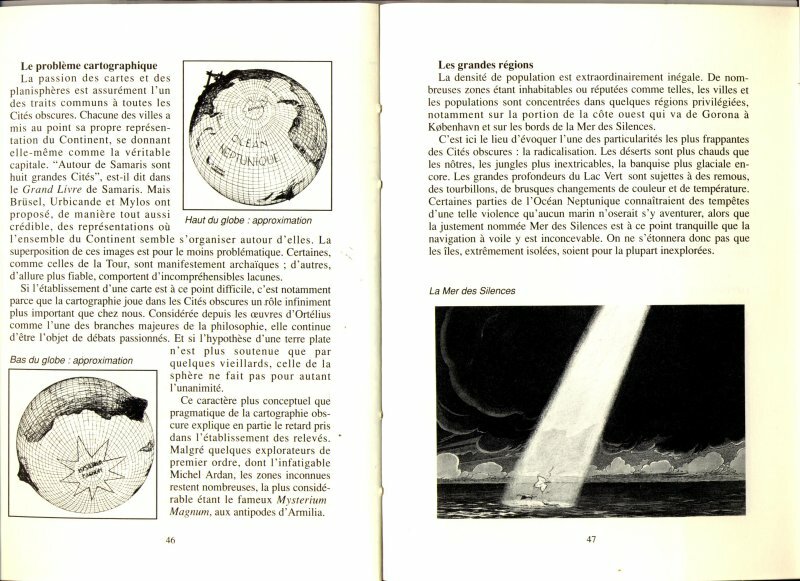 The guide describes the world of the Obscure Cities. 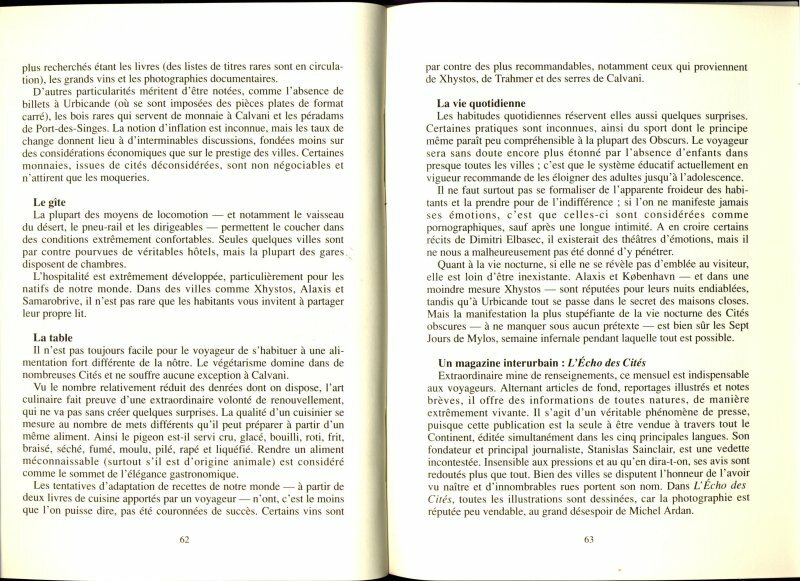 How to get there, what passage to use. 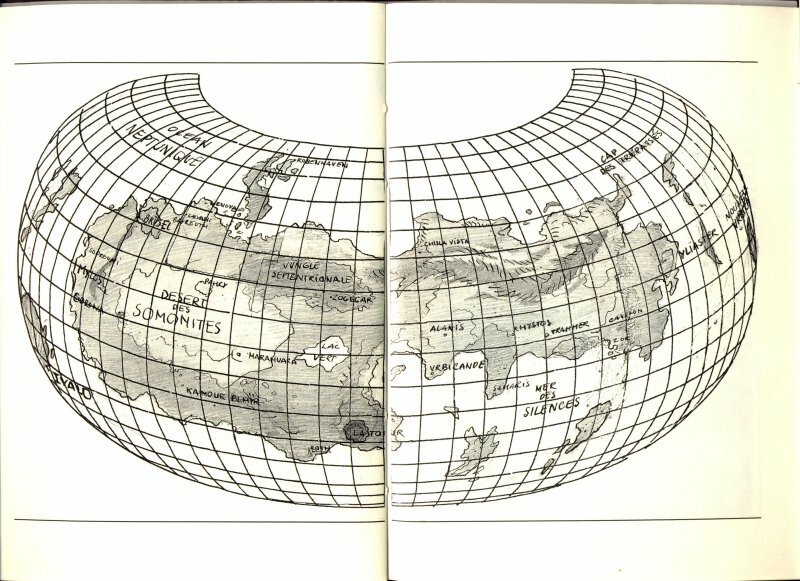 But also several aspects of the Obscure World: like regions, vegetation, its history, language etc. 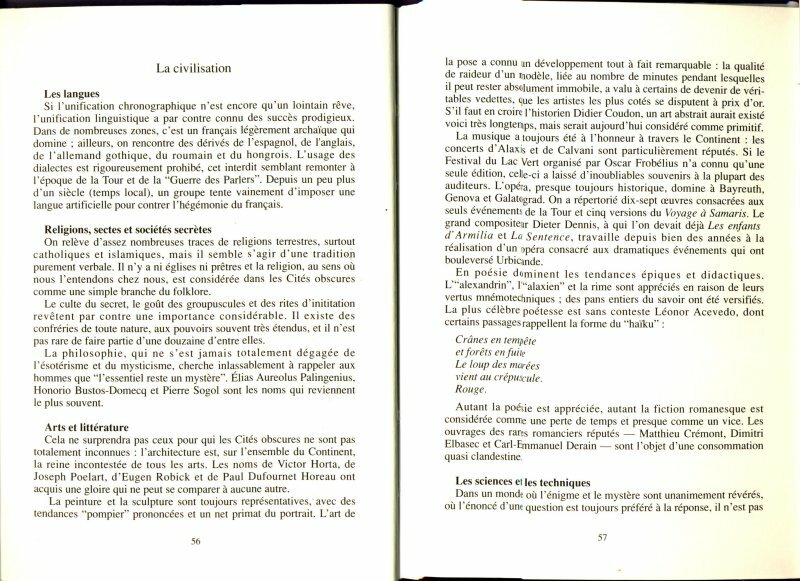 The second issue describes the major cities and its important inhabitants. 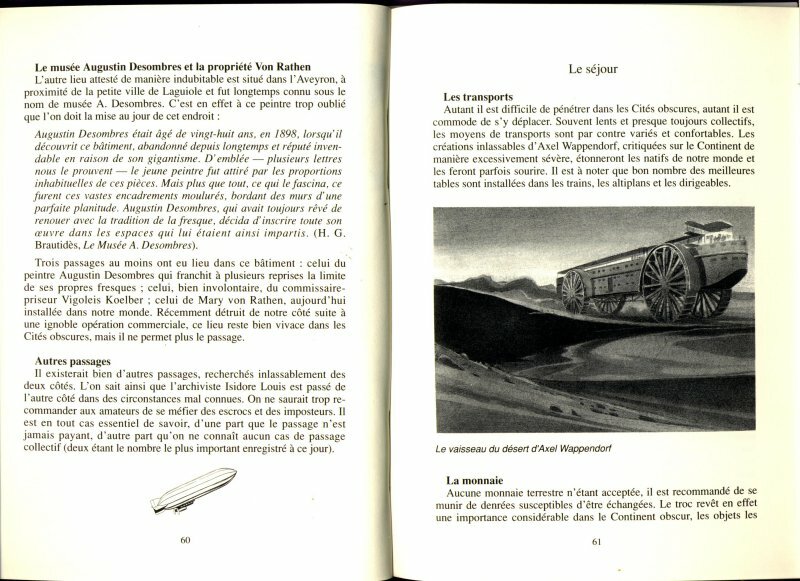 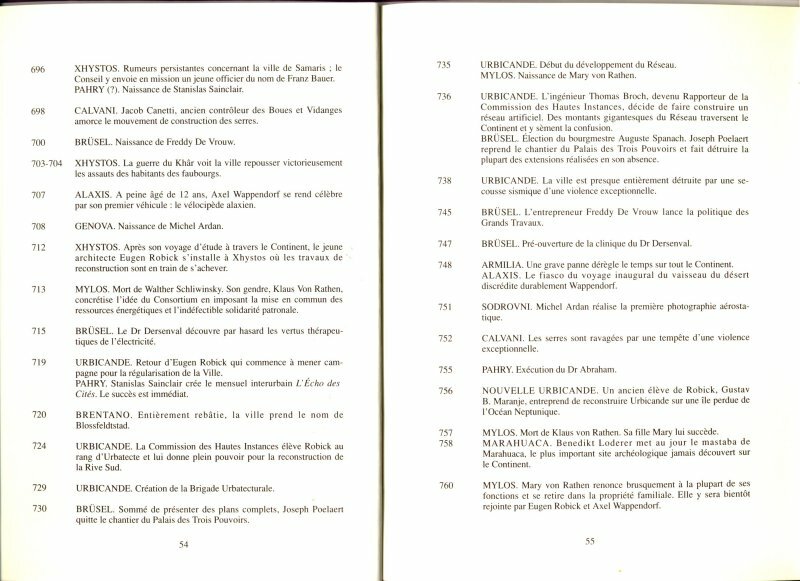 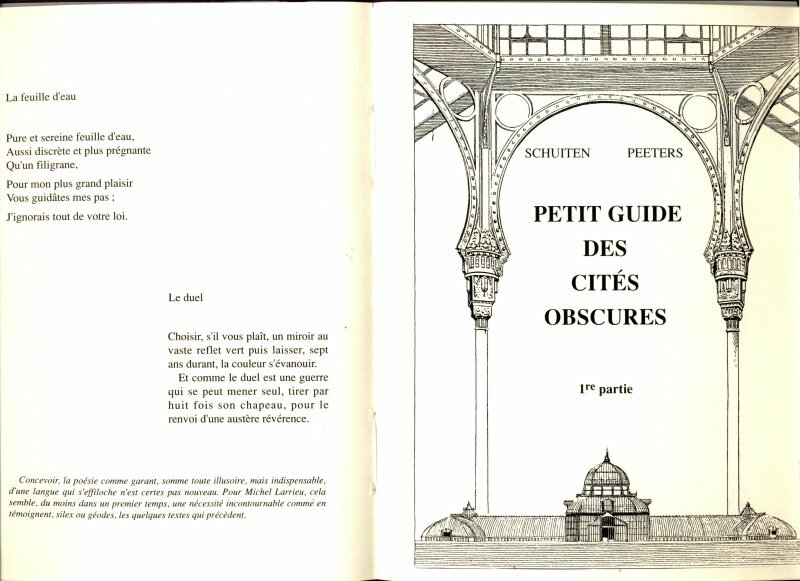 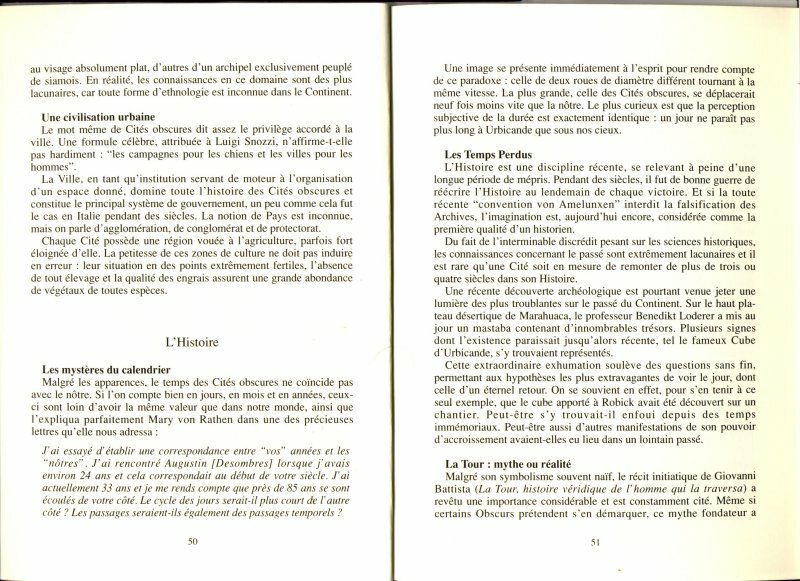 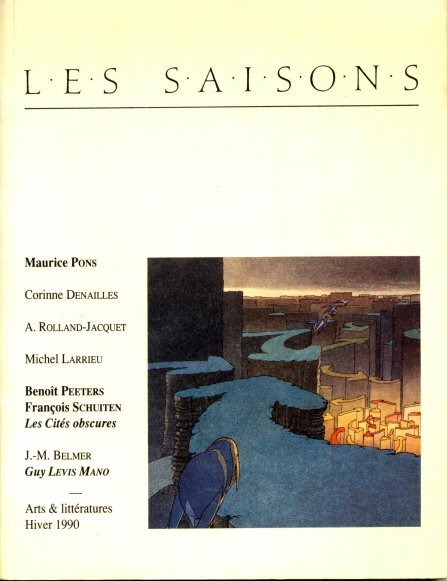 The stories of the Petit Guide des Cités Obscures were used to compile Le Guide des Cités in 1996. 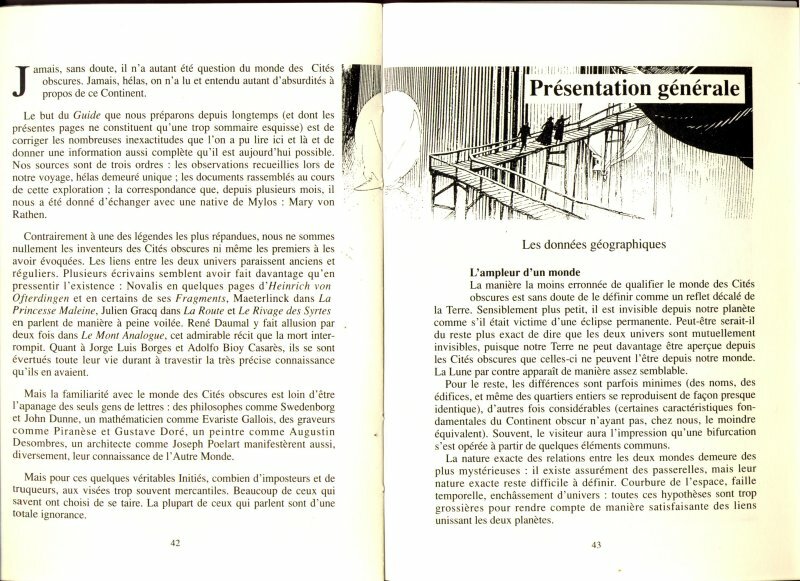 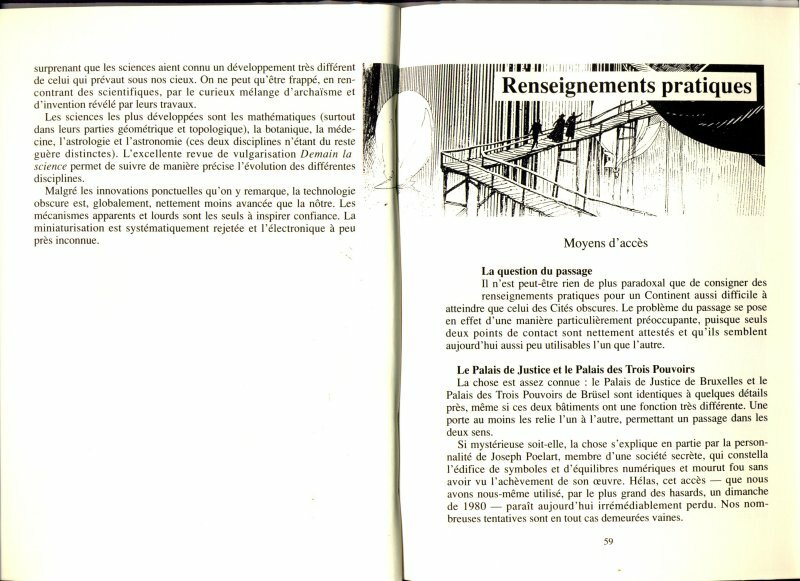 The pages of the first part of the Petit Guide des Cités Obscures.